Bills Mafia, who’s ready for this game?! In week 12 of the 2018 season, the Bills’ quarterback Josh Allen has finally come back from an injury. It’s a game with some hype, as we heard Jalen Ramsey’s opinion of all the NFL quarterbacks earlier this season.😡 He didn’t have anything positive to say about Josh Allen, but Buffalo is really good at making people eat their words! 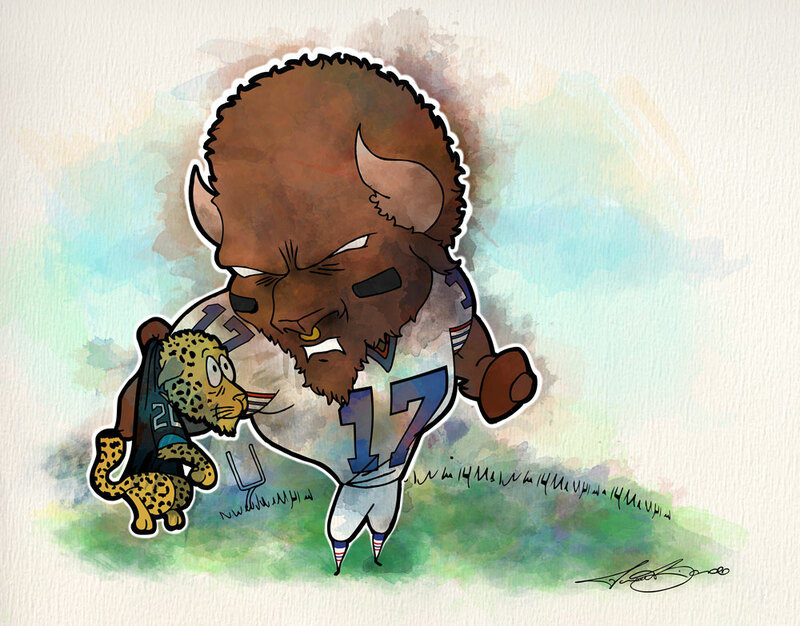 This weeks illustration shows Josh Allen holding a baby Jaguar wearing a number 20 Jalen Ramsey jersey! Let’s go Buff-a-lo! 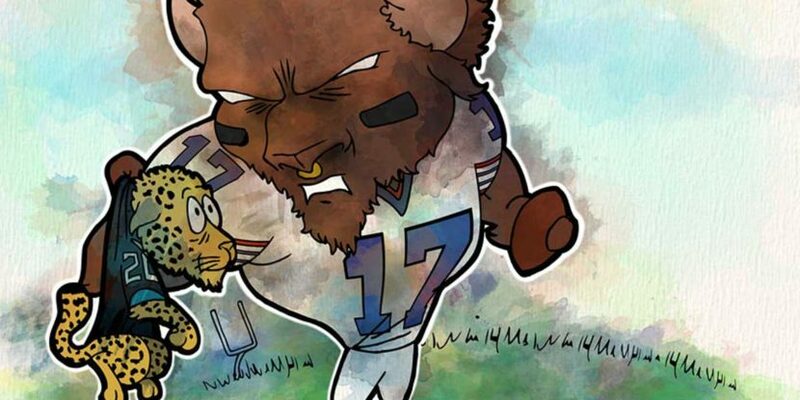 For the 2018 season, we partnered with Kevin Sylvester & Paul Peck at Buffalo Sports Page to bring you these Buffalo drawings every week! Prints are available in the Art Shop! If it’s not listed there, please inquire on the contact page.